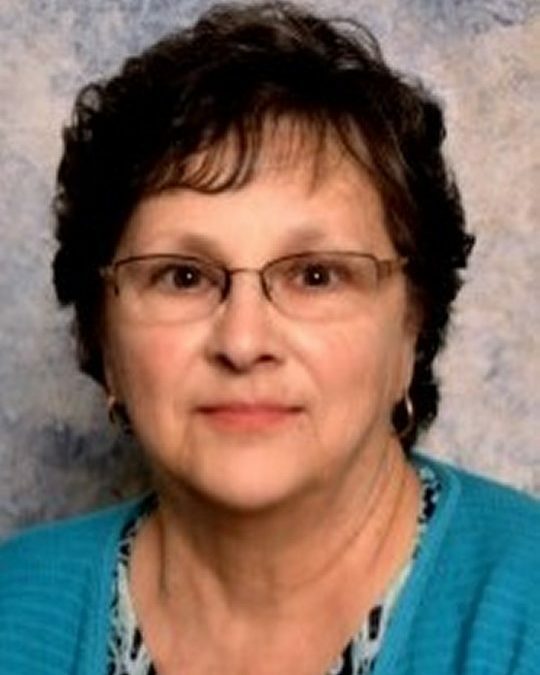 Mary Elizabeth Shepperd, 72, of Science Hill, KY passed away peacefully at home on Friday, February 23, 2018. She was born on February 2, 1946 in Somerset, KY, daughter of the late John C. and Margaret Dalton Lewis. Mary retired from the Palm Beach Company after 38 years of service. She was a member of the Science Hill United Methodist Church. Mary enjoyed spending time with her grandchildren, visiting with her friends, and working in her yard. She was united in marriage to Charles W. Shepperd on February 8, 1963 in Sevierville, TN. They recently celebrated 55 years together. She is survived by her husband; two daughters, Kim (and Roy) Wakeland of Lexington and Dana (and Dave) Muse of Somerset; two grandchildren, Savannah Muse and Trevor Wakeland; one sister, Eva Waldrep of Indianapolis; three sisters-in-law, Verna Lewis of Somerset and Emma Lois Peek of Somerset and Maxine Lewis of Somerset, one brother-in-law, Ernest Shepperd of Science Hill; and a number of special nieces, nephews, and cousins. She was preceded in death by her parents and two brothers, H.C. Lewis and Wheeler Lewis both of Somerset. A funeral service for Mary Shepperd will be held Friday, March 2, 2018 at 11 A.M. at Southern Oaks Funeral Home with Bro. David Green and Bro. Dave Muse officiating. Burial will follow at Science Hill Cemetery. The family will receive friends at Southern Oaks Funeral Home after 6 P.M. on Thursday, March 1, 2018. In lieu of flowers, the family requests that donations please be made to Hospice of Lake Cumberland or the Science Hill United Methodist Church. Southern Oaks Funeral Home is entrusted with the arrangements for Mary Elizabeth Shepperd. Sorry for your loss. May you find comfort in knowing that your dear one is safe in the memory of God, who will remember every detail about her and bring her back again. John 5:28, 29 gives this assurance. Hope this thought brings comfort.